Managing your ticketed events just got easier! 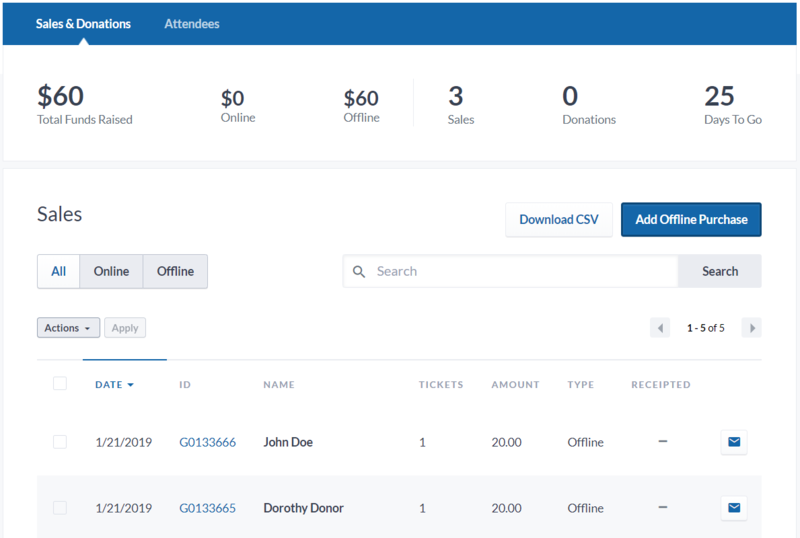 Our powerful events management platform now supports offline event ticket sales. 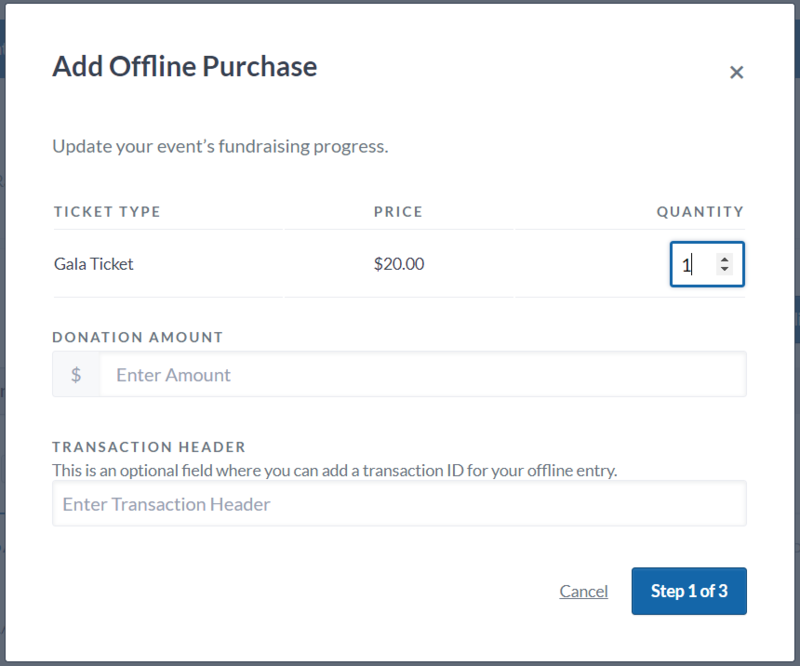 Add offline purchases to your event, keep your fundraising progress up-to-date, and track all your ticket sales in one place. Take it a step further by adding your attendee information and we can take care of sending e-tickets, event reminder emails and tax receipts. Plus, it’s easy to check in both your online and offline attendees at your event with our point-and-click check-in tool. If you’ve never used our events platform before, learn more now! 1. 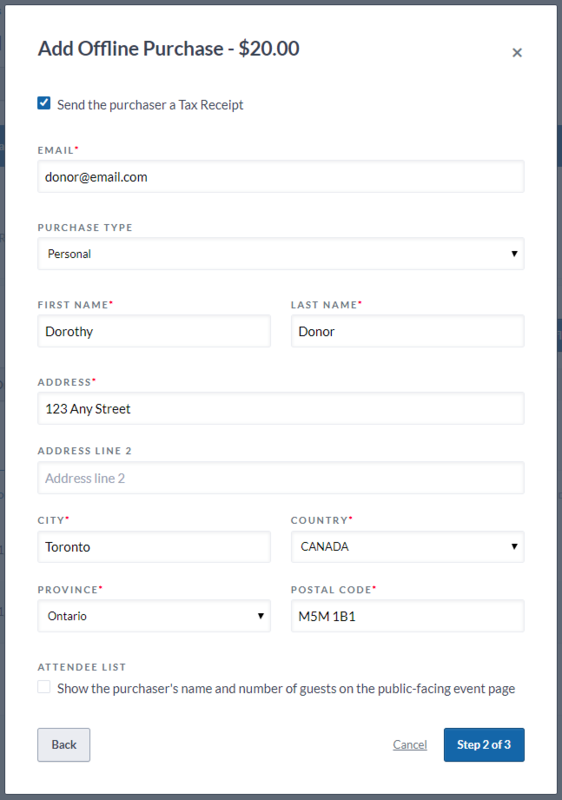 Click on “Manage” for any active event for your charity to go into your event’s dashboard. 2. Select the “Sales & Donations” tab and click on the “Add Offline Purchase” button located above the search bar on the right-hand side. 3. 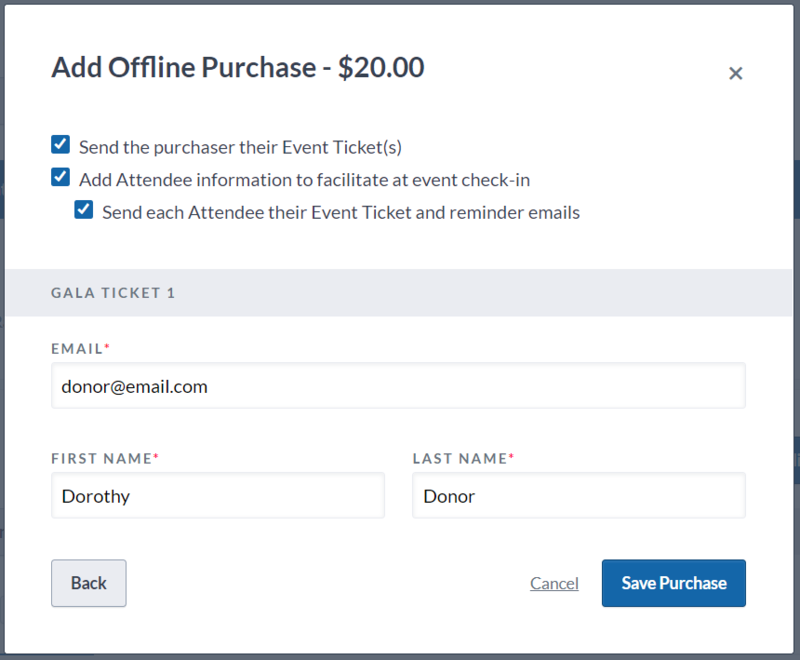 When the “Add Offline Purchase” pop-up appears, you can add the quantity of each ticket type that was sold and a donation amount, if a charitable donation was made. 4. Next, enter the purchaser’s details and select if you’d like to send them an instant tax receipt (if applicable). You can also choose to make the purchaser’s name and number of guests visible. 5. Lastly, you can choose to send the purchaser a digital copy of the ticket, add attendee information to facilitate event check-in, and more. Click “Save Purchase” and if you’ve selected to have receipts or event tickets sent, we’ll take care of that instantly! Go on and try adding some offline ticket sales! Sign in or upgrade today to take advantage of these new events features. Is there a cost/charge for this service and if so, how is that administered? Hi Joseph, thank you for your question. There is no charge to set up our events management tool. Please get in touch with our team at charities@canadahelps.org and they will be happy to help you get started!